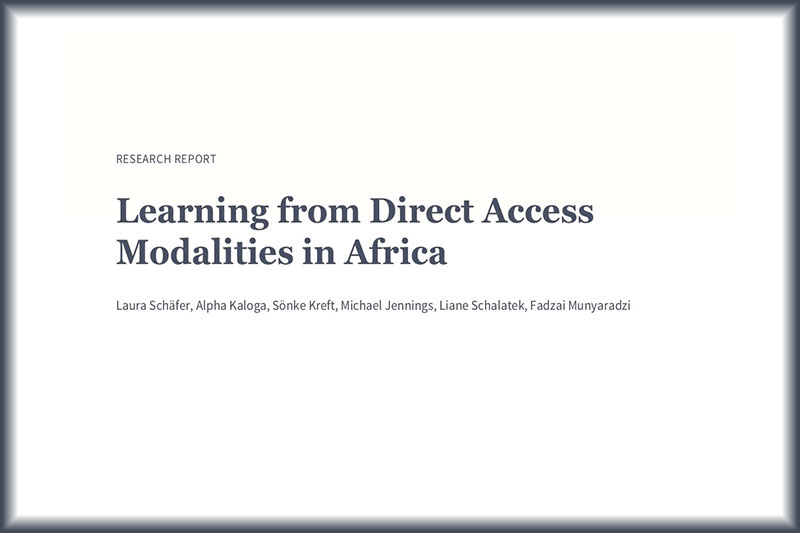 Written by SSN's Charlotte Ellis and Kamleshan Pillay, this working paper focuses on understanding the concept of ‘bankability’ in support of the development of quality ‘bankable’ project proposals – to assist countries’ access to international climate finance. 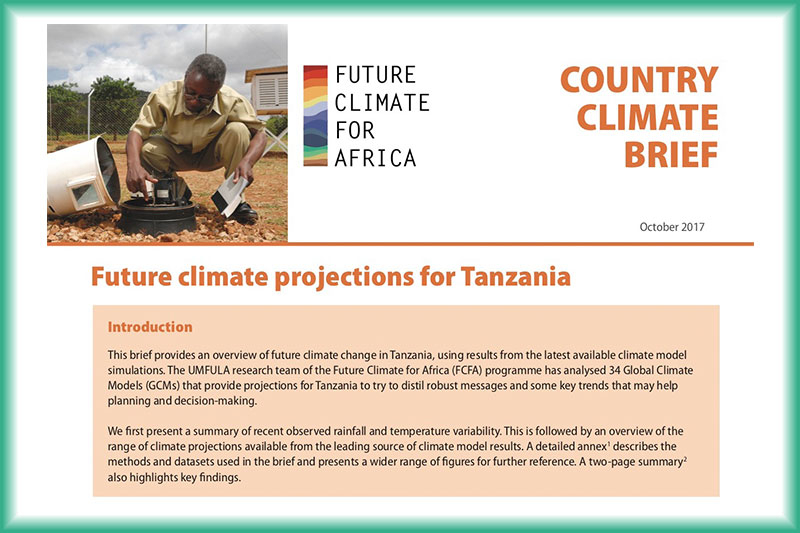 This brief from FCFA provides an overview of future climate change in Tanzania, using results from the latest available climate model simulations. 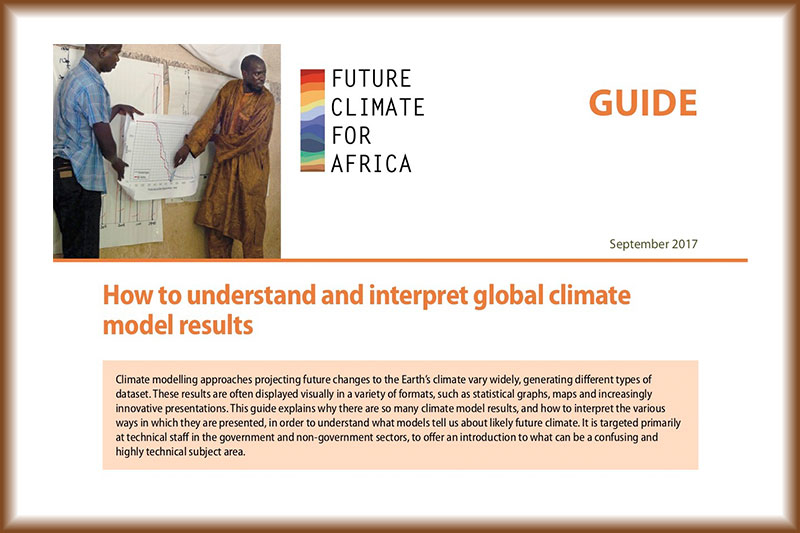 The UMFULA research team has analysed projections from 34 Global Climate Models to distil some key messages and trends for planners and decision-makers in Tanzania. 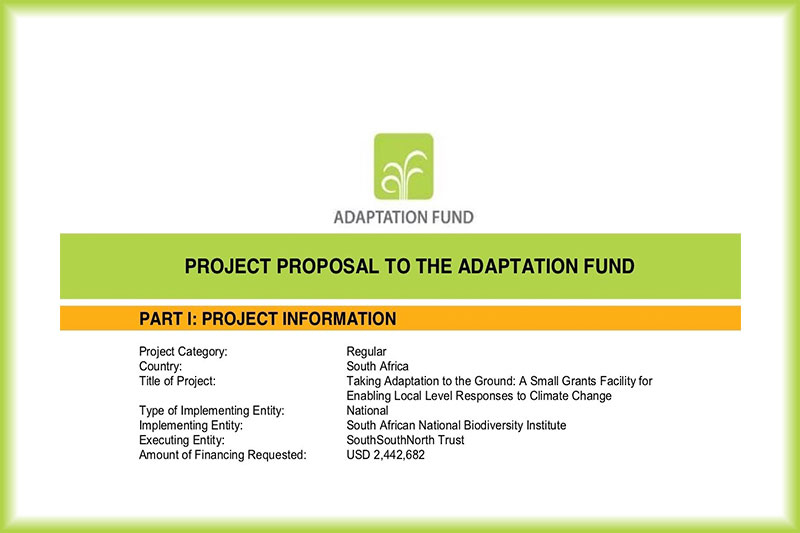 Taking Adaptation to the Ground: A Small Grants Facility for Enabling Local Level Responses to Climate Change is a project of the Adaptation Fund. SSN serves as the Executing Entity and SANBI as the National Implementing Entity for the SGF project. Read the project proposal here. 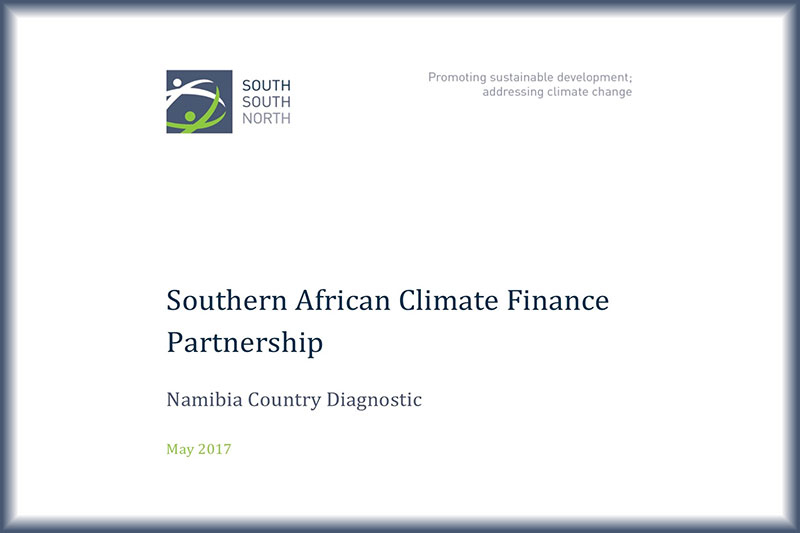 This Namibia Country Diagnostic was produced as part of the SACFP learning agenda. It highlights the country’s context in terms of climate finance and development priorities, climate finance needs, and ability to access climate finance. 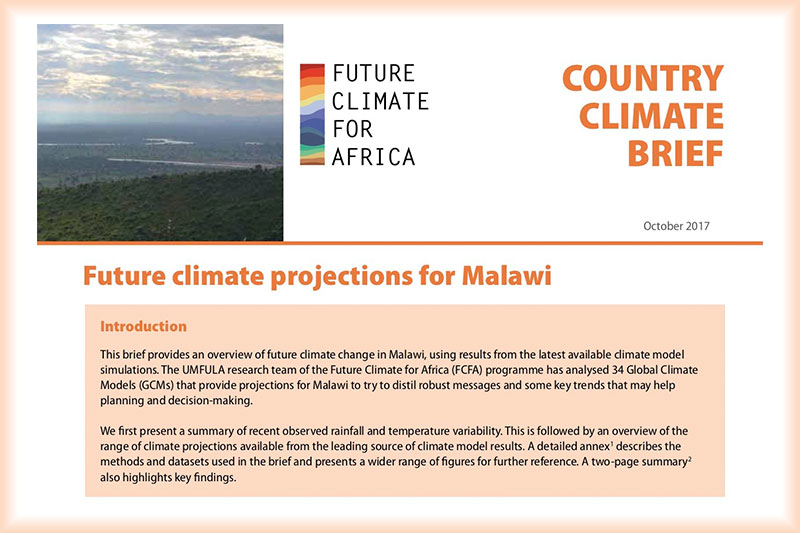 This brief from FCFA provides an overview of future climate change in Malawi, using results from the latest available climate model simulations. The UMFULA research team has analysed projections from 34 Global Climate Models to distil some key messages and trends for planners and decision-makers in Malawi. 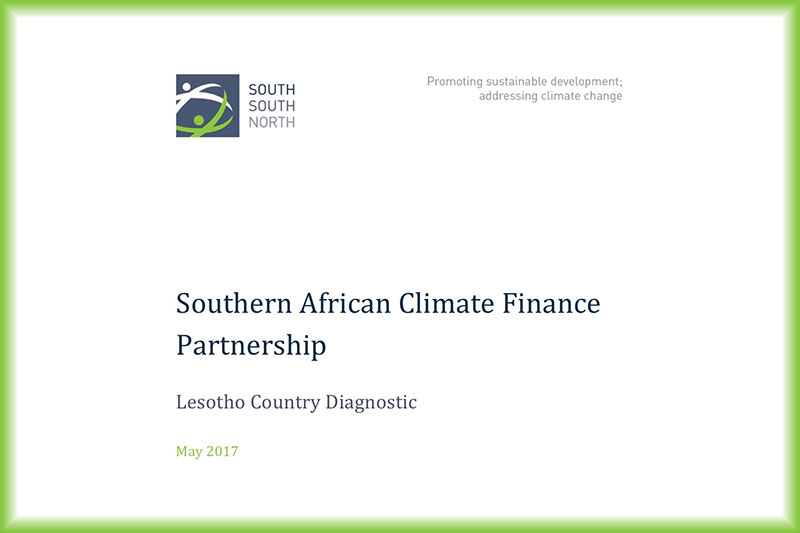 This Lesotho Country Diagnostic was produced as part of the SACFP learning agenda. It highlights the country’s context in terms of climate finance and development priorities, climate finance needs, and ability to access climate finance. 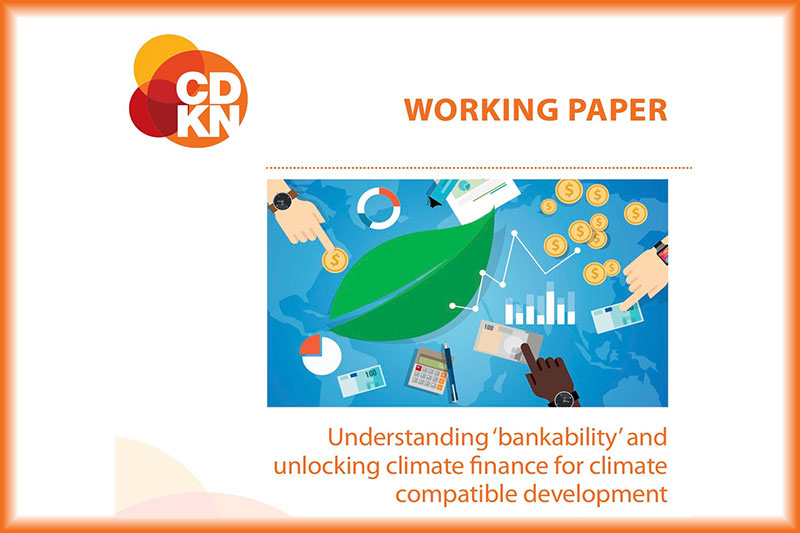 This report, commissioned by CDKN and written by Germanwatch, aims to support the debates in climate finance – from the Adaptation Fund to the Green Climate Fund – by providing insights into the processes of programming climate finance domestically in Africa. 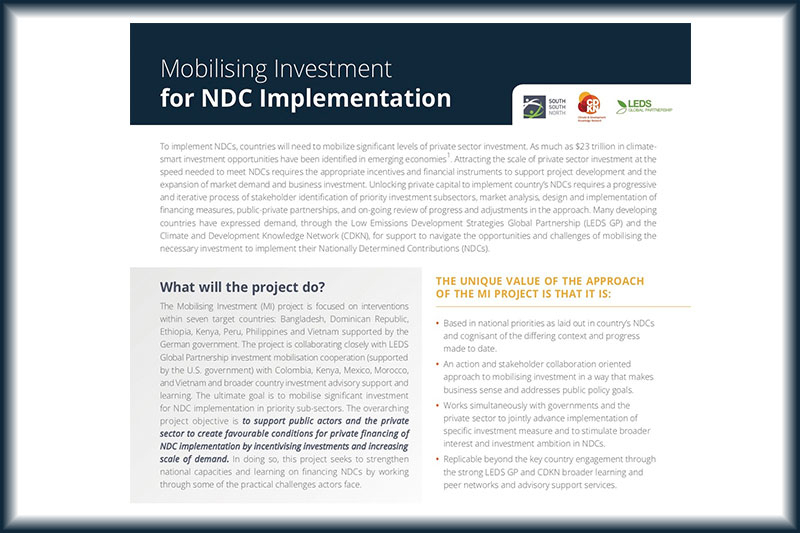 The Mobilising Investment project, led by SSN, aims to support public actors and the private sector to create favourable conditions for private financing of NDC implementation by incentivising investments and increasing scale of demand. Find out more from the project factsheet. Climate modelling approaches projecting future changes to the Earth’s climate vary widely, generating different types of dataset. This guide explains why there are so many climate model results, and how to interpret the various ways in which they are presented, in order to understand what models tell us about likely future climate.